The picture below is my response to the Photo Friday challenge of “natural light“. 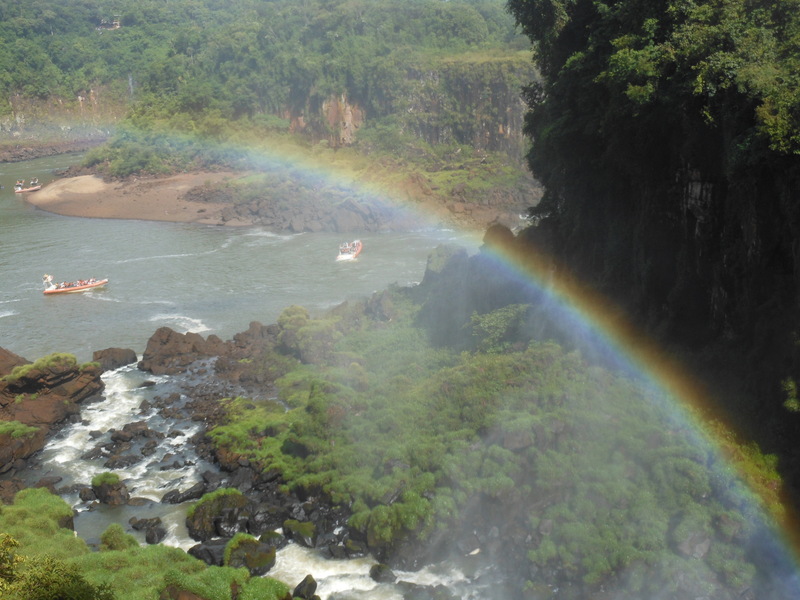 In February of this year, the family made a trek out to Iguazu Falls (as mentioned before here and here), a stunning natural wonder of falling water that straddles the border of Brazil and Argentina. As this week’s challenge is all about natural light, please allow me to show you what happens when sunlight interacts with droplets of water. Why are there so many songs about these arcs? As you can see from some previous postings (like here and here), I’m a sucker for arcs of color. From WordPress, their photographic challenge this week is entitled, “Lost in the Details“. The creator of this challenge asks bloggers to “…bring out the details that are often hiding in plain sight” and this is my response. In the middle of February, the family travelled to Iguazu Falls (or Cataratas del Iguazú if you like your beautiful stunning natural landmarks named in Spanish). 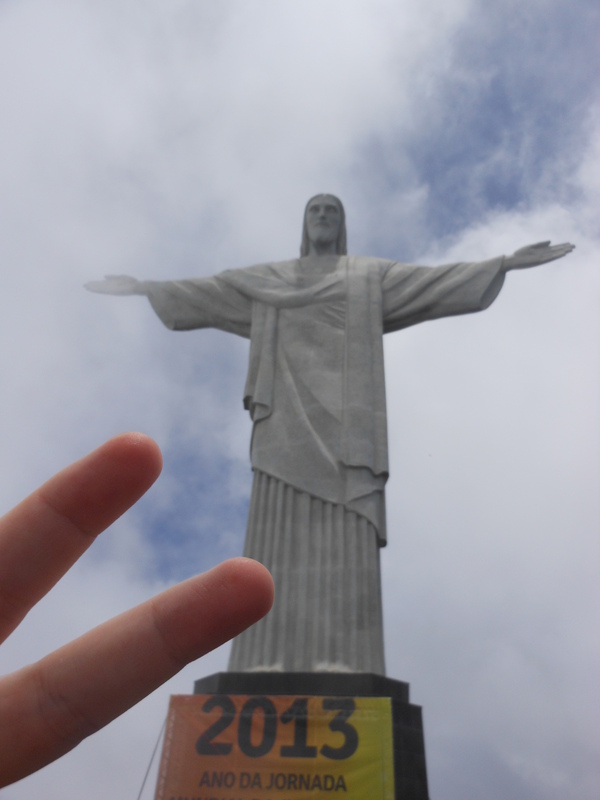 One day was spent on the Brazilian side of the falls and the second day was spent on the Argentine side. 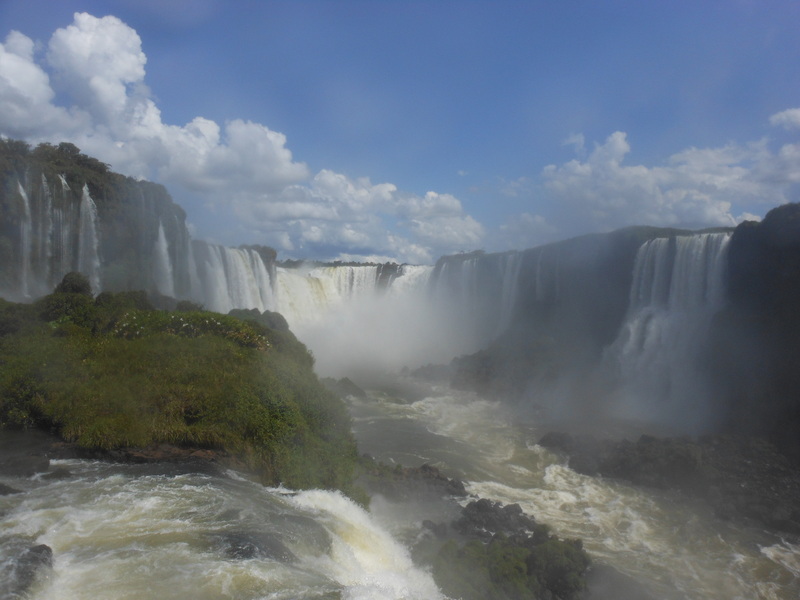 The officials on the Argentine side have built a walkway that extends right to the lip of the largest portion of the falls called “The Devil’s Throat“. 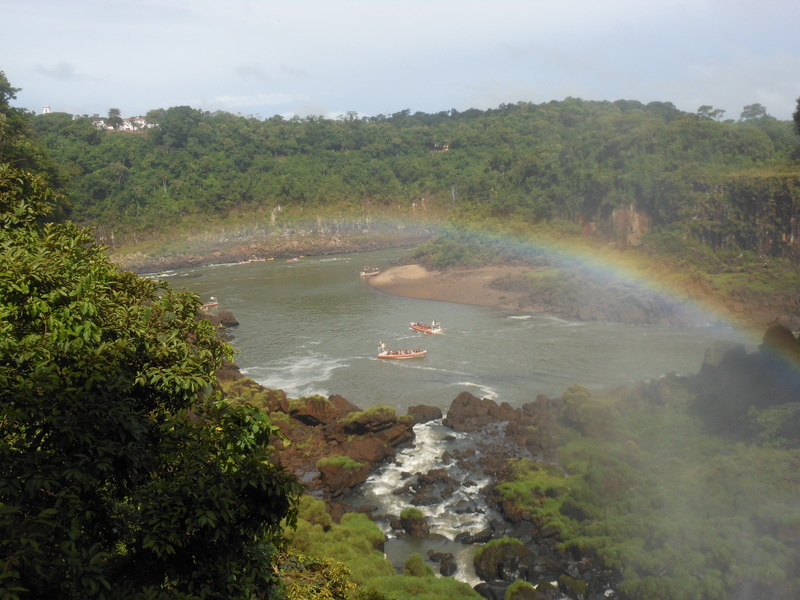 The trek out to La Garganta Del Diablo is long and there are several picture-perfect sights one can stop at and take photographs. But, hey, what is that lump hanging out in the lower left-hand corner of this picture? 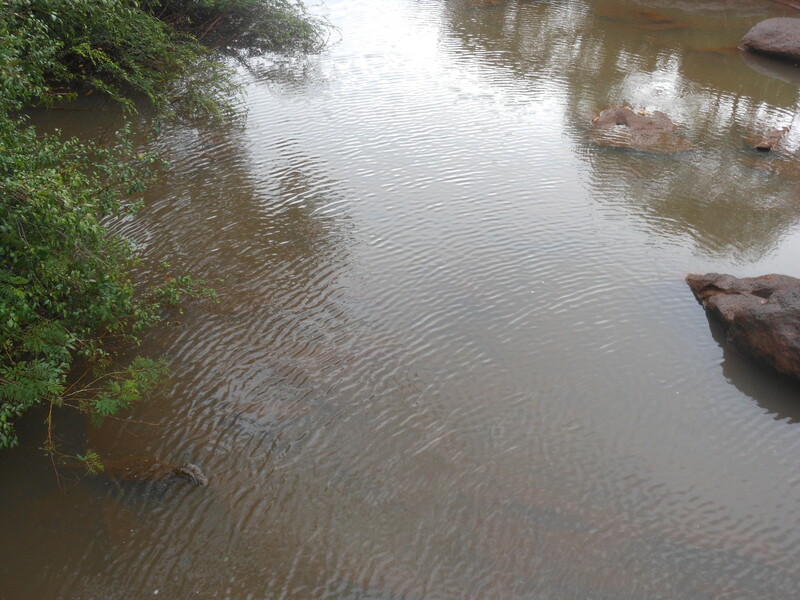 It’s a lurking animal that probably contains a bevy of sharp, pointy teeth. 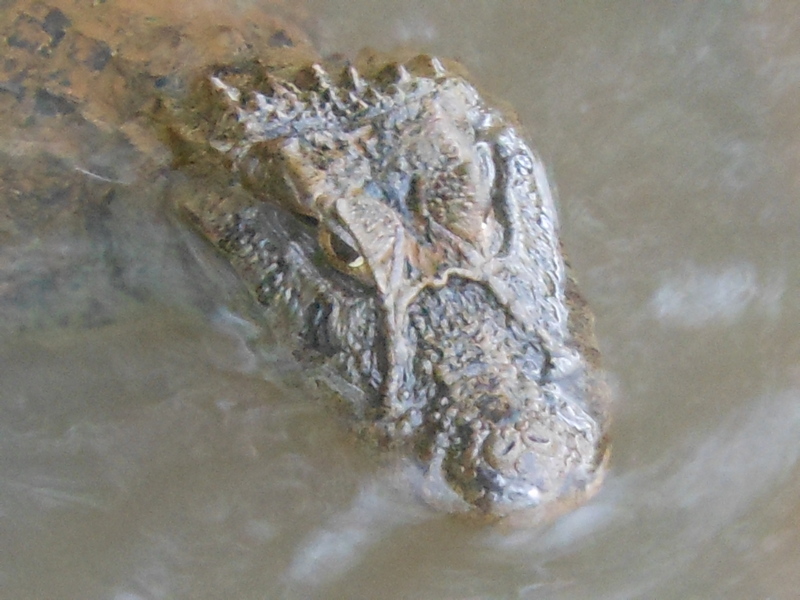 It could be a caiman or a crocodile or an alligator. I didn’t leave the safety of the walkway I was on to interview it so I never did find out. I’m a blogger, not a herpetologist. I think these pair of shots show how important it can be to not become lost in the details. That “rock” you breezily dismiss could cost you a limb.